The research group IWT2 offers you a large training offer covering different areas of specialization within Software Engineering. This teaching is structured in different modes of teaching, in order to that you can select the training that best meets your necessities and personal circumstances. We offer presential, semipresential and non-presential training. In addition, we impart University Expert Courses, Continuous Training Courses and we can develop specific training programs oriented to institutional organizations. IWT2 actively participates and collaborates with FIDETIA and Lifelong Learning Centre of the University of Seville. 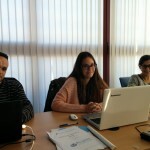 The application and registration is done through the Lifelong Learning Centre of the University of Seville. 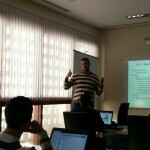 JUnit workshop so you can train and improve your skills by writing good tests. TDD is a design technique based on the writing test cases before writing the code for the application code. This course is to learn to use this paradigm in practice. The aim of this course is to introduce the Design Thinking methodology, designed to come up with innovative solutions tailored to needs of people in any field. We will provide full information on the methodology and main techniques developed in each of its phases. Attendees will secure knowledge thanks to the balance between theoretical and practical content. FIWARE is the initiative Future Internet Public‐Private Partnership sponsored by the European Economic Community, which are attached more than fifteen countries, with an initial funding for the project of more than 100M€. The aim is to create a robust infrastructure, focused on developers, content managers and private and institutional public. It will be extended a diploma.